Musicians and artists, where are you selling your music? Attracting The Right Type Of Fan. Yes, there are types of fans and if you spend any time talking to me you’ll know the one target fan you should be striving to reach- your super-fan. Recently I did a webinar that talked exclusively about the impact that growing a core audience group (aka Super-Fans) does for your music. Here’s where CD Warehouse fits perfectly into having the magic that indie artists need, especially those unsigned and operating on their own. 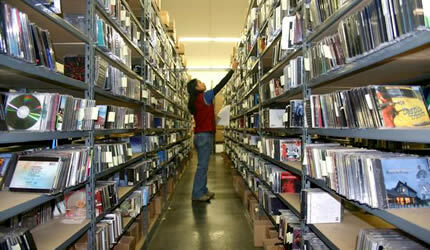 CD Warehouse is a company that continues to do something in the 21st century that other companies couldn’t. They sell hard copies of music. Remember Blockbuster Music? When I was in middle school and high school in the 1990s, Blockbuster Music was the store everyone hung out at. 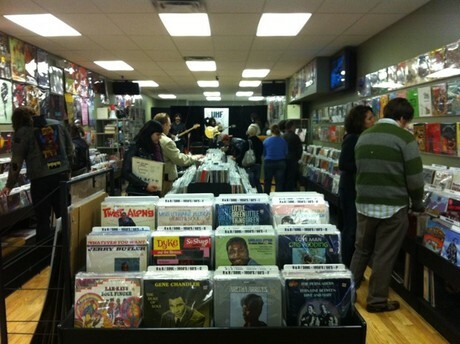 It was where we picked up the latest music as well as some of the underground stuff you couldn’t find elsewhere. Then iTunes happened and Blockbuster Music found the same fate that Blockbuster Video did, nation-wide closings. How is it that a store that relies on selling CDs, vinyl records, DVDs and other media can stay open and operating in an era in time when digital versions of music and movies are what everyone is into? Tell me that is not the mantra that you need to have as an artist who is competing with a million other artists for the same audience? I already know one of the things that will be said about my suggestion that you get your music into stores to sell. That’s a great question. I didn’t say the process was easy. This process and course, like everything you will do, requires some relationship cultivation and nurturing. Their website has their contact info, including email and phone numbers. Squeaky wheels get grease, so squeak a little via your email and phone to reach out and discover what steps you have to take individually to get your music in a store. While you’re at it, do the same thing with every store in your city or region that sells CDs, vinyl, or hard copies of music (other than Wal-Mart; we can agree that’s a waste of your time). If you find a way that works for you, feel free to share it.